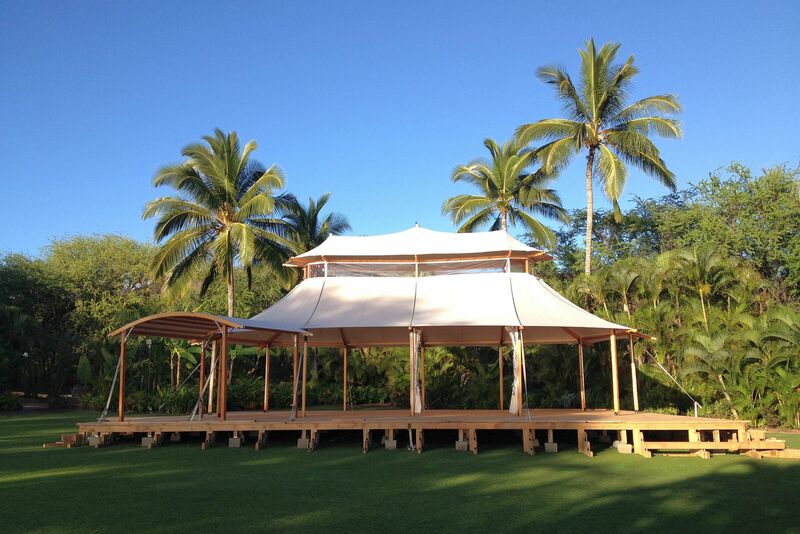 This handcrafted wooden framed tent features an ivory fabric top with clerestory windows and sleek support brackets. 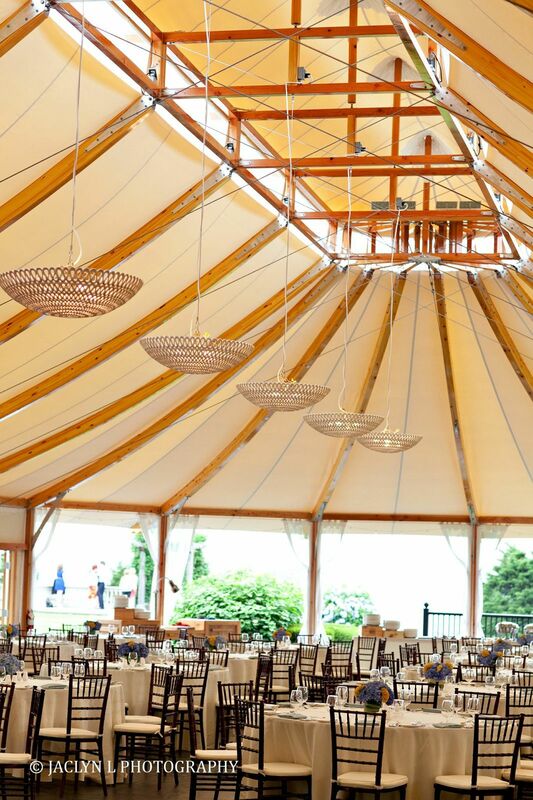 The clerestory windows are a classic architectural feature and allow sunlight to stream into the tent during the day and a warm glow to shine outwardly at night. 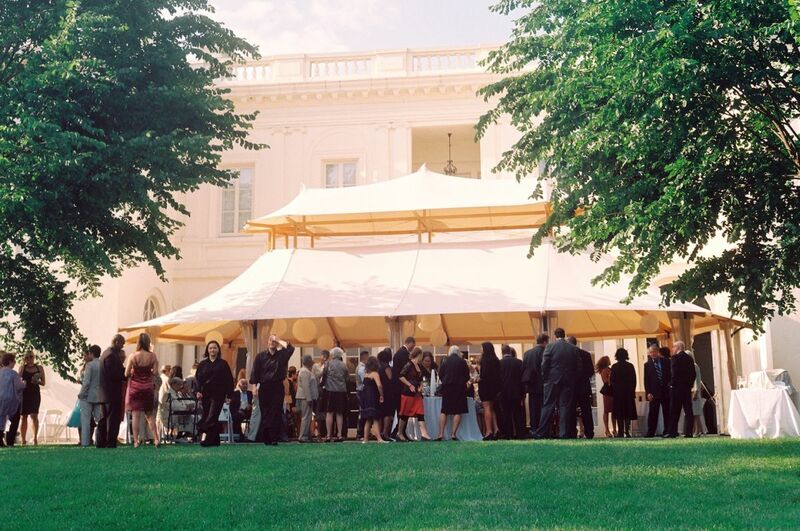 This pavilion style tent provides a clear (pole-free) interior span. 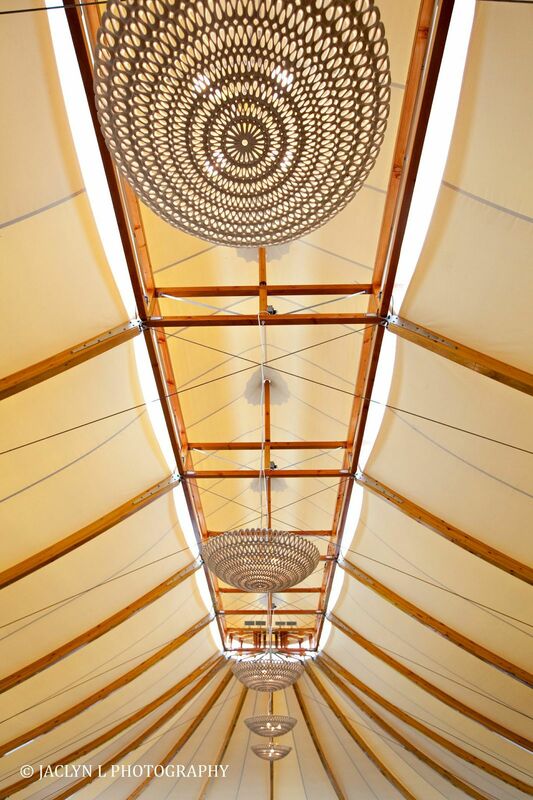 The cupola is the tent’s most unique trait, providing a visual detail overhead. 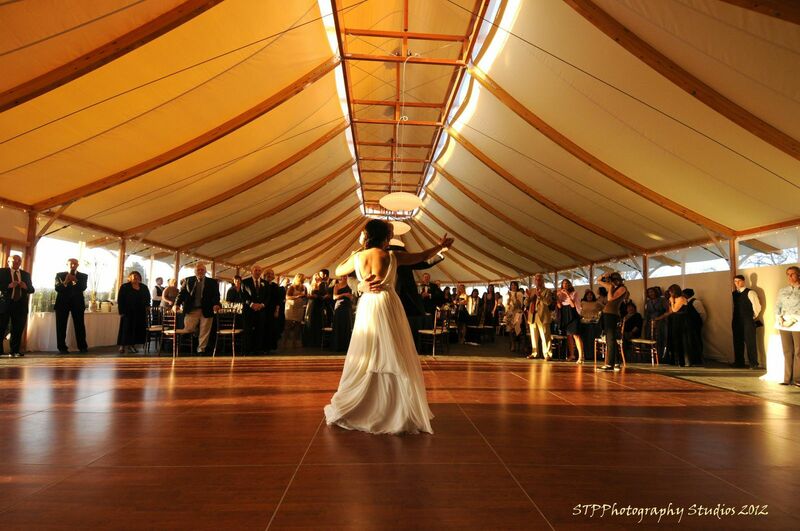 This style of tent is best suited for long-term rentals and venues with seasonal tent requirements. 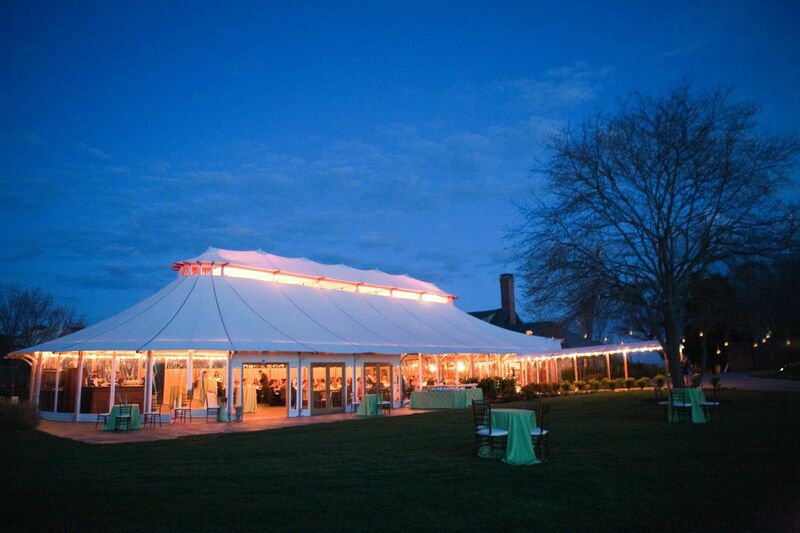 The Pavilion Tents are also available for purchase.